First bus runs June 23rd, 2018. 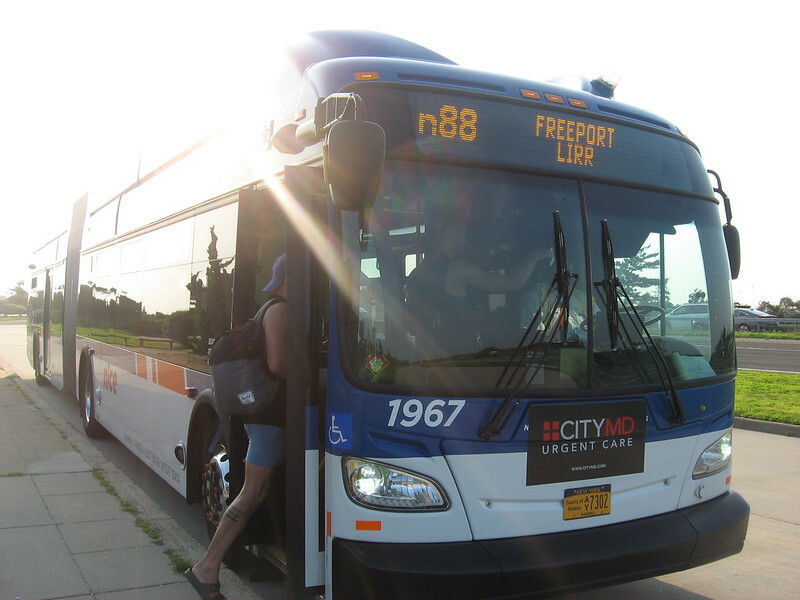 There will be thirteen hourly trips daily, with a schedule of 19 minutes to the beach. I guess one artic will be used, as last year. Maybe this will need two shifts of drivers, with the replacement at the Freeport station near lunchtime. The layover spot at the beach, the west bathhouse, has nearby comfort stations. Note the warning about fareboxes not accepting dollar bills. 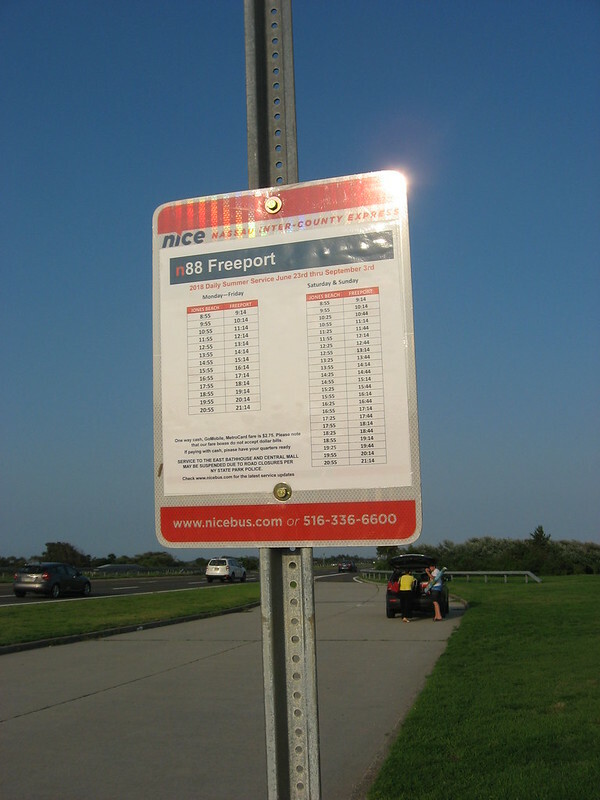 The n88 receives passengers at Jones Beach at the West Bathhouse, the Central Mall, and the East Bathhouse. Please note that the schedule uses the 24-hour clock. About a dozen passengers were on this 18:25 departure, sad, considering that the beach and parking lots were very crowded.